Very clean figures, much better than I've seen elsewhere. Great detail for 1/72 as well! Resin vs. FDM printer is the difference. Very nice figures. The variety of poses make them ideal for a diorama. But unless I missed something, they are available in 1/72 only. And each figure is 2.20 euros ($2.54). Too much to build a wargaming army in this scale. I agree with Pan that they are rather an expensive choice for raising armies with. But, that said, quality like this does cost…. When you add in shipping to the USA, even then, you really need to think twice before pulling the trigger. Such quality deserves promotion, but it will be interesting to track what the market will bear for pricing. I really hope they take off in sales. 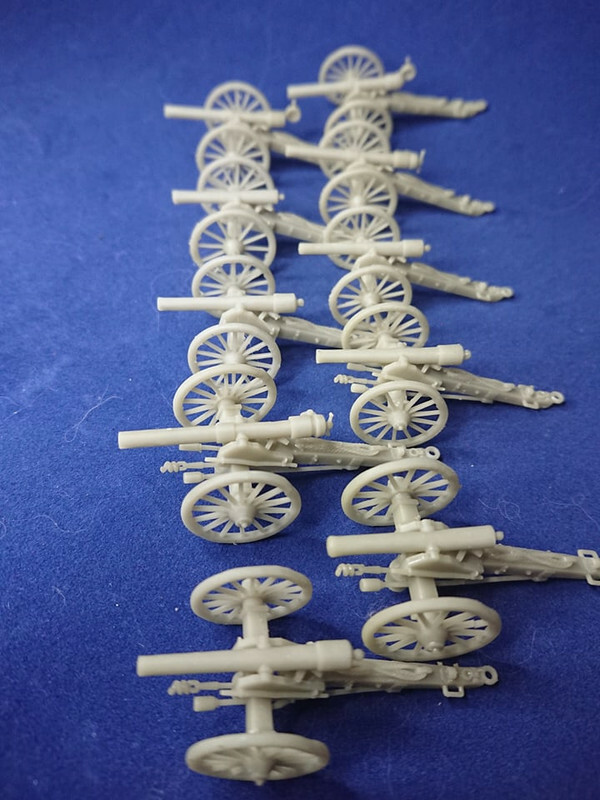 They look nice, very tempted to have a unit to compliment my ACW 20mm plastics. However for a Rapid Fire Brigade rather pricey! They are a bit pricey..if one was only to use them but to fill gaps, Medics, extra officer figs etc, worth it. I´ve payed similar Prices for metal figs. @Mark. They are available in all scales, it´s just that the guy running it collects 1/72nd. "Customization?We can do some customizations of the models, just ask for price info. And no problem with other scales than 1/72, please make a request and we can propably resolve it and also calculate the price difference for you." Pauls- Thanks for that. I skirmish game ACW, and these figs have things most other ranges don't. The price might be worth it for occasional figs. 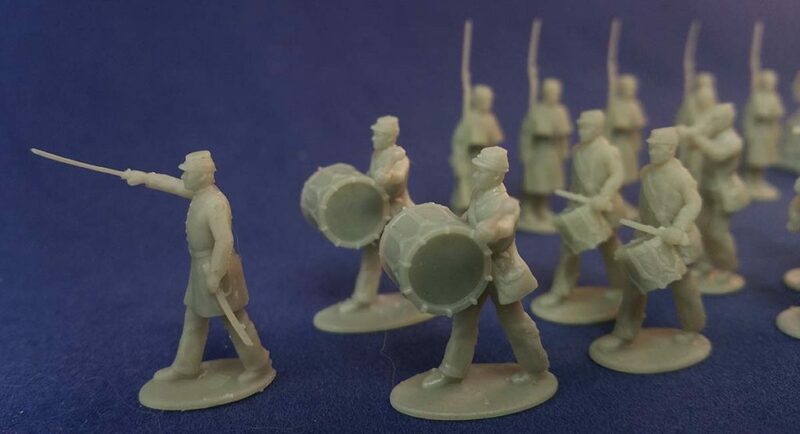 As a casual visitor, who normally never looks beyond a day in June 1815, these ACW figures are simple amazing. They seem sharply presented with fine detail, but what really struck me was the imagination that went into the figure selection and poses. I fear not many will order a hundred of each code, but they might well order single figures in large numbers….and that of course does mean higher costs! These are the models that make a huge army into individuals. A chap strangling another chap, a Forrest Gump carry his wounded mate to the rear, a Confederate Tuba player…but above all the ladies with the parasol. Add these to your dioramas or firing lines maybe? Wow, an amazing variety of dynamic poses!